The Matchmaker is playing at the Festival Theatre through October 27. Thornton Wilder’s farce The Matchmaker is perhaps best known, to the extent it is known at all these days, as the progenitor of the musical smash Hello Dolly. 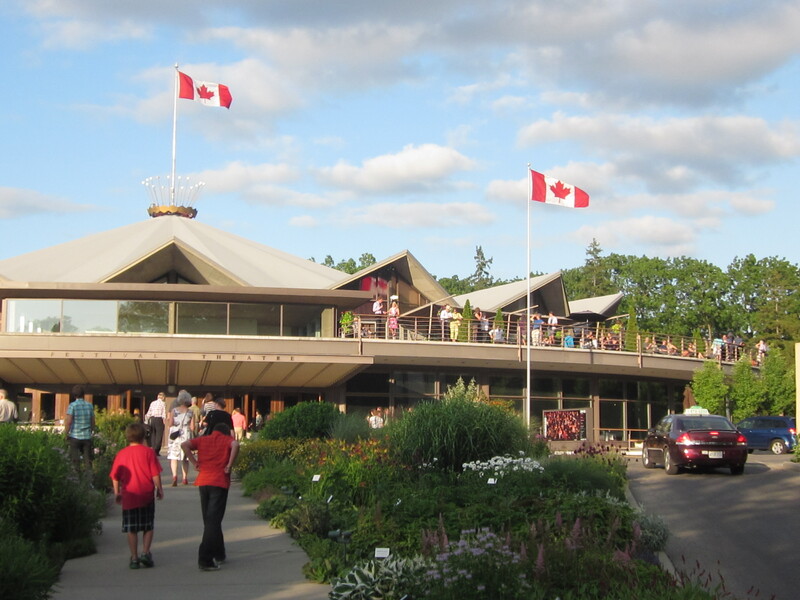 It would be nice if the Stratford Shakespeare Festival’s current production changes all that. Here is a production that is every bit as worthy of a New York transfer as the Stratford musicals that usually make the trip. That might not make much sense to the money people, but New York audiences would be grateful and American theatre might rediscover one of its great treasures. The Matchmaker tells the tale of rich, tight-fisted Yonker merchant Horace Vandergelder who has two projects in hand, preventing his niece Ermengarde from marrying Ambrose, an artist, and acquiring for himself a new wife, utilizing the services of professional matchmaker Dolly (nee Gallagher) Levi, who has designs of her own on Horace. When Horace heads to New York City to check out two of his prospects, the first time he has ever taken a day off from the store, his long suffering and overworked clerks Cornelius and Barnaby decide to play hookey and have their own New York adventure. Meanwhile, Ambrose follows Ermengarde who has been dispatched to New York by her uncle precisely to foil the romance. In true farce tradition, everyone’s paths cross to hilarious effect. Director Chris Abraham is known to me for his production of the delightful For The Pleasure Of Seeing Her Again at Stratford a few years back, but I gather he has built his reputation in Canada on much darker material in much smaller spaces than the Festival Theatre. But he emerges here as an accomplished farceur who can orchestrate larger-than-life performances that hover at the verge of excess yet never tumble over into hamminess. It helps that he is blessed with a sterling cast who can rise to the challenge. Tom McCamus, who excels in more saturnine roles, is downright hilarious as Horace, a pompous yet endearing twit of man whose masculine assuredness is no match for a woman’s wiles. Mike Shara is comic gold as Cornelius and Josh Epstein is a revelation as the uptight and hyperbolically innocent Barnaby. Laura Condlin and Andrea Rudge excel as the New York girlies that the lads hook up with and Nora McLellan is hysterical as the New York society matron in whose house all the plot threads are neatly resolved. Geraint Wyn Davies and John Vickery illustrate the point that there is no such thing as a small role and Vickery does it three times! Above all there is Seana McKenna as Dolly. In some ways, her role is not as showy as some of the others, there’s no slapstick and no broad comic turns, but she’s like the eye of a hurricane, masterfully calm as pandemonium whirls about her. This is an actress who can do more with the simple falling of her voice than most can do with pages of dialog. It’s like watching a master class in acting. The Matchmaker is an interesting play with an interesting provenance. It started life in the ’30s as a flop called The Merchant of Yonkers. 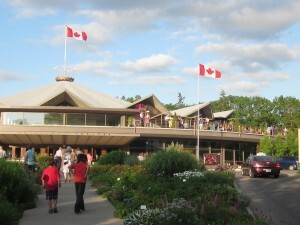 The Stratford Festival, in the guise of Tyrone Guthrie, played a role in helping Wilder revise it in the ’50s. It went on to win a Tony and become Wilder’s longest running hit. It’s also notable in the way it plays with traditional dramaturgy. Most farces and comedies end with everyone on stage as the knotted plot is unraveled, identities sorted out, and transgressions forgiven. Wilder lets all this happen offstage while Horace inevitably falls into Dolly’s clutches and proposes. Dolly demurs delightfully and then lays down the marital law as she ever so reluctantly accepts. Wilder also regularly breaks the fourth wall to have his characters deliver moral lessons to the audience, some of which are comic masterpieces in their own right. It’s all very modernist. Or maybe it’s Shakespearean. How appropriate. The Matchmakerruns through October 27, 2012. For more information go to www.stratfordfestival.ca.